Implants - now you can stop hiding your smile. Implants - exceptional care from a dedicated team. Looking for a North Dartmouth Tooth Implant Dentist? Dental implants have helped many people permanently solve problems caused by tooth decay, disease, injury, misalignment, discoloration, and/or deterioration. Dr. Paul M Ponte and Dr. Paul P Ponte have years of experience and extensive training in the advanced techniques of implant dentistry. We also provide dentures, cosmetic dentistry and teeth whitening. Patients often worry that the cost of dental implants could keep them from getting the care they need. At Tucker Road Dental Associates we work with you to find affordable options. If you've got strong jawbone ridges and healthy oral tissues, you may be a candidate for natural-looking tooth replacement. 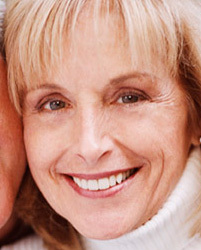 Contact us now to see if this is the solution for you as an alternative to dentures. If you're interested in learning more about a tooth implant, call us today at (508) 996-3133. Or fill out our online form for easy scheduling. At Tucker Road Dental Associates, we have appointments available when it's convenient for you. At Tucker Road Dental Associates we're committed to helping you get the most from your dental insurance coverage. We accept many of the top dental plans and we're always happy to work with you to get you and your family the dental care you deserve. If you're looking for a highly-trained implant dentist in New Bedford, you've come to the right place. Dr. Ponte offers implant dentistry that New Bedford residents have come to trust for the highest quality dental care. Mouthwash can not only freshen your breath, but kill germs and bacteria that lead to cavities. Try to select a formula with fluoride. Many contain alcohol, which dries up the protective saliva in your mouth, so it's best avoided. While mouthwash a wonderful dental product, however, please remember that it cannot replace regular flossing and brushing. Remember, your dental health is our first concern at Tucker Road Dental Associates. 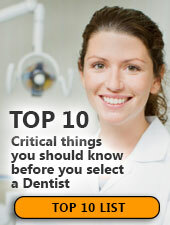 Please do not hesitate to call our office at (855) 881-2506 with your dental care questions, or to schedule a check-up! Sure, not getting regular checkups may make you less kissable, but did you know that studies have linked heart attacks and strokes to gum disease associated with poor oral hygiene? A trip to Tucker Road Dental Associates every six months could reduce your risk of serious health problems. Don’t wait any longer to schedule a checkup with Dr. Paul Ponte. Call our office today at (855) 881-2506. When it comes to basic dental care, Dr. Ponte will tell you that nothing tops brushing. If you choose to use a manual toothbrush, be sure that it is small enough to reach your entire mouth easily. Also, bristles that are too firm can cause your gums to bleed. Those who prefer something a bit more convenient and comfortable might consider an electric toothbrush. Be sure the head is soft and the bristles move in a back-and-forth motion. If you have questions about your toothbrush, call us at (855) 881-2506 and we’ll be pleased to offer recommendations.